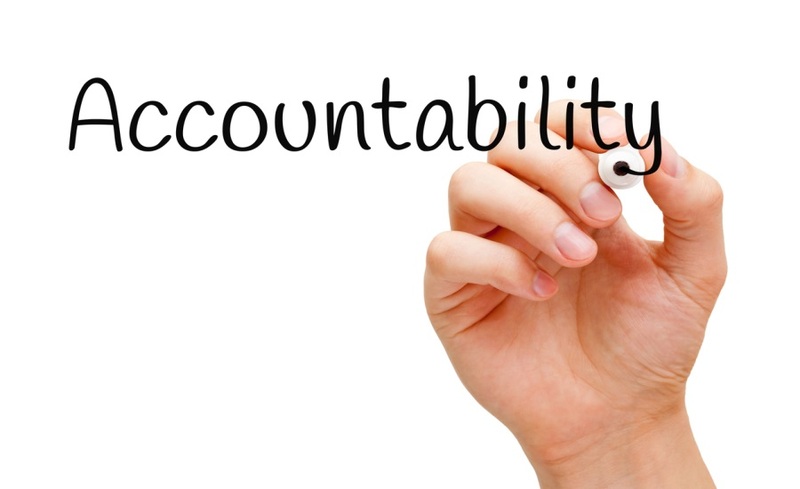 You have set your goals for the year – how do you remain accountable to them? Do you remember the first time your parents told you that you had complete responsibility for something? Like a phone (or a little brother)? If you lose it you will not get another until you can afford to buy one of your own (the phone not the brother). And they meant it. Suddenly, you became much more aware of where your phone was, didn’t you? I have a similar philosophy with goals. I see it like this: Once you realize that you need a specific change in your life – like getting a promotion or studying a new skill – you need to tell yourself that it will not happen unless you make it happen. No one will help you unless you ask, no one will offer unless you initiate, and most importantly, no one will yell at you if you don’t go for it. But the trick to it is this: Do not see the goal as a massive pressure that you self-inflicted on Jan 1st. Try a new mindset instead: The goal is yours to do as you will. You are autonomous, you are responsible and you are free. When I was growing up, people would compare their IQs and measure their natural abilities. If they failed a Math or English test, they would immediately think they are not good with numbers or they cannot write well. They saw their skills ad if they were set in stone, with no room for improvement. Instinctually I always disagreed, but never really had the information to prove it. I always believed that I could become decent in most discipline’s if I put my mind to it (not the best, but decent – kinda like my rapping). It all fell into place when I learnt about Carol Dwerk’s Growth Mindset. Professor Dwerk began studying children’s development several decades ago and noticed that some kids were excited to take on a new challenge while others became petrified at the prospect. She found this rule also applies to adults. People with a Growth Mindset believe they are always work-in-progress, they can improve, and bounce back from defeat. People with a ‘fixed mindset’ have a much harder time with failure, believe their skills are limited and can be crushed by defeat. The Growth Mindset lies at the foundation of accountability because your road towards your goal is rarely a straight path. If you don’t include some potential failures in your journey, you may not make it. If you had set a goal and it has fallen lower on your priority list, don’t kick yourself or even laugh at yourself, instead try reframing it with your words. Here are some examples. To achieve your set goal is not an easy task as you know very well. So few of us manage to do it – wouldn’t you like to be one of the few? They say that anything worth doing isn’t easy – but easy is so boring!